In a marathon, one runner leads the pack. In an army, one leader stands at the head. In the Connecticut General Assembly, everyone’s a leader. In the 36-member Senate, there are 36 leaders. The House is less Utopian with only two out of three state representatives getting a fancy title. Each “leader” gets a little extra in his or her state paycheck. All 36 state senators and 107 of the 151 state representatives earn additional pay beyond their $28,000 salary, costing taxpayers $702,411. That means there are more leaders in the Connecticut Senate than in the U.S. Senate – which has nearly three times as many members. In the state majority, 77 leaders guide 40 rank-and-file members, while in the minority 30 leaders are in charge of the remaining 7. It works out that 67 percent of Democrats and 81 percent of Republicans are in the House leadership. There are 31 Assistant Leaders, 18 majority and 13 minority, a rank which accounts for about one-fifth of the House. The additional pay to all of the leaders in the House costs taxpayers $494,409. Additional pay in the Senate costs $208,002. No Senators make the standard $28,000 salary. Doug Whiting, communications director for House Democrats, said his caucus had a lower percentage of leaders than the other three caucuses. He said if chairmen and ranking members are excluded both Senate caucuses have 100 percent of members in the leadership, House Republicans have 54 percent and House Democrats have 46 percent. Whiting said House Democrats, including chairmen and ranking members, have 67.5 percent of members in the leadership compared with 81 percent for House Republicans. Through Whiting, House Speaker Christopher Donovan declined to comment. House Republicans did not respond to requests for comment by deadline. Senate Democrats declined to comment. McKinney said being a ranking member or chairman should be a step toward a leadership role, but his caucus is so small everyone has to play a bigger role. “It’s all hands on deck,” he said. McKinney said he and his two top deputies, Sens. Len Fasano, R-North Haven, and Andrew Roraback, R-Goshen, each took a voluntary 10 percent pay cut. However, despite the pay cut the three leaders still make more than the standard $28,000 senate salary. In the House, the leadership titles are Speaker of the House, Majority Leader, Minority Leader, Deputy Speaker (7), Deputy Majority Leader (7), Deputy Minority Leader (2), Assistant Deputy Speaker, Chief Assistant Deputy Speaker for Economic Affairs, Assistant Majority leader (18), Assistant Minority Leader (13), Majority Whip (2), Minority Whip (3), Majority Caucus Chairman, Deputy Majority Caucus Chairman, Deputy Majority Whips-At-Large (2), Deputy Majority Whips (3), Assistant Majority Whips (8) and Minority Caucus Chairman. There are also 26 House committee chairmen and eight ranking members who receive additional pay. In the Senate, the leadership titles are Senate President Pro Tempore, Majority Leader, Minority Leader, Deputy President Pro Tempore (5), Deputy Majority Leader (5), Deputy Minority Leader (5), Deputy Caucus Leader and Federal Relations Liaison, Minority Leader Pro Tempore, Deputy Minority Leader Pro Tempore, Assistant Majority Leader (5), Assistant Minority Leader (2), Majority Whip (2), Minority Whip (2), Assistant President Pro Tempore (3) and Assistant Majority Whip. Learn more about the House leadership here and the Senate leadership here. $28,000 a year? First – helloooo!! The median salary for a professional in CT is over $60K – who the he– wants to take a job making $28K a year. Even with the extra $10K I couldn’t afford to feed my family, let alone make my mortgage. How do these folks afford an apartment near the state house and commute back and forth to their district once or twice a week and not go broke? I think the first question we need to ask ourselves is why do we want or expect anyone to make our laws and run our state for such a pittance. The real travesty here is that it costs CT taxpayers more to pay the pensions of our ex federal representatives and senators. That’s right, all senators completing 1 term, and all house members completing 2 regardless of why they leave (voted out, decided not to run, indicted…) get a full salary ($1000K +) for the rest of their lives. Tens of billions each year to pay the pensions of retired house and senate members. 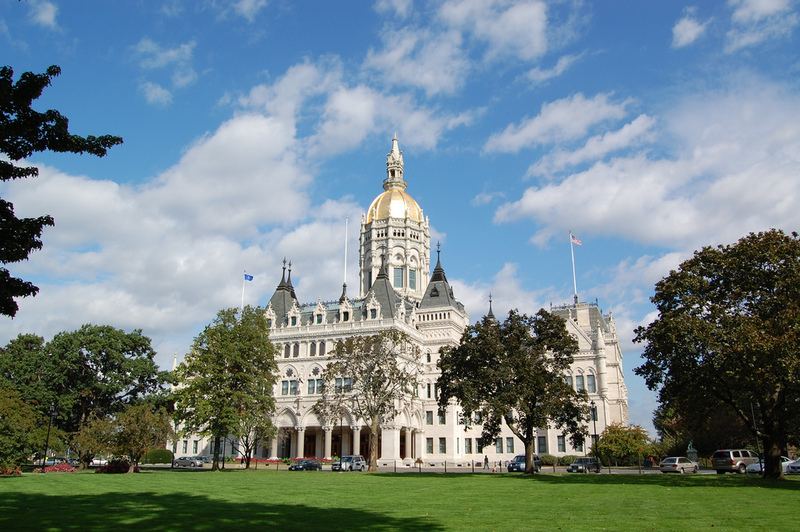 $700K a year for the entire current CT legislature is an issue to you? Sometimes I really wonder what people in our state are thinking about? This is exactly what’s wrong with Connecticut.They all want to be leaders in name only, in salary and perks only, and not a one of them, wants to be a real leader and actually solve a damn thing. This collective group of misfits and misguided have run our state economy in the ditch, have dramatically escalated our debt and made history busting tax increases. With a track record of failure like this, they should all take the lead and resign rather than darken the doors of their “leadership” offices one more time. Calling them a leader is a cruel joke that is designed to pad their pockets and rip off taxpayers. OK, so all of the legislative leaders bonuses = $700,000 – about the same as 4 Commissioners or 7 Legislative Liaisons in straight salary. Legislative pay has not been raised since when? 2000 effective in 2001. I think there have been one or two salary increases for the multitude of Commissioners and Legislative Liaisons in that time frame. The entire Legislative cost – for all the commissions, partisan & non-partisan staff? Less than 4% of the ENTIRE state budge – not bad for a “Co-equal” branch of government. For a better perspective, the author should include a break down of the extra pay by legislator. It looks like an average of about $4,800 additional per legislator, which would bring the average annual pay up to about $32,800.